Being a fashion show producer is a really difficult job. It requires flexibility, long hours, attention to detail and of course, style. 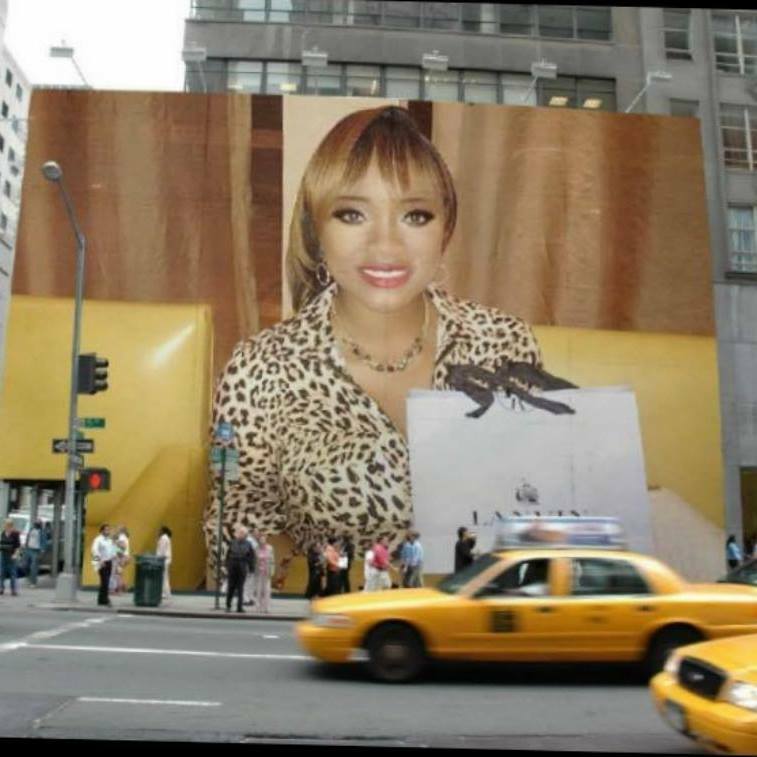 Tiffany McCall is an American born and British Educated Fashion Designer who is making waves in Paris for her contributions to the fashion industry and her runway show production. She had a strong fashion background early on, and created her own line the Tiffany McCall Couture brand in 2000. She opened her first Fashion Boutique at the tender age of 19 with the help of her father, who was the company’s CFO until his death in 2016. Prior to that, Tiffany McCall studied at the elite Fashion and Business School Regent’s University in London, England. McCall’s couture line gained traction with celebrities like Halle Berry, and Judy Beecher who have been wearing the garments in films and on the red carpet. In 2008, Tiffany McCall moved to Paris, France to study French Literature at the renowned French University La Sorbonne. She became fluent in the French language and obtained a degree in French Literature and Civilization in 2011. McCall felt a connection to emerging designers and wanted to create a platform that was both international and supportive of the fashion design community. She created Tiffany’s Fashion Week Paris, in 2012 in efforts to shine the light on talented fashion designers from around the world. Her productions are known for their luxurious style and aesthetic. After, 10 years in the European and International Fashion world. A gap in the market was noticed and needed to be fulfilled with this event to nurture and promote young and established talent, in Paris during the Fashion Weeks. 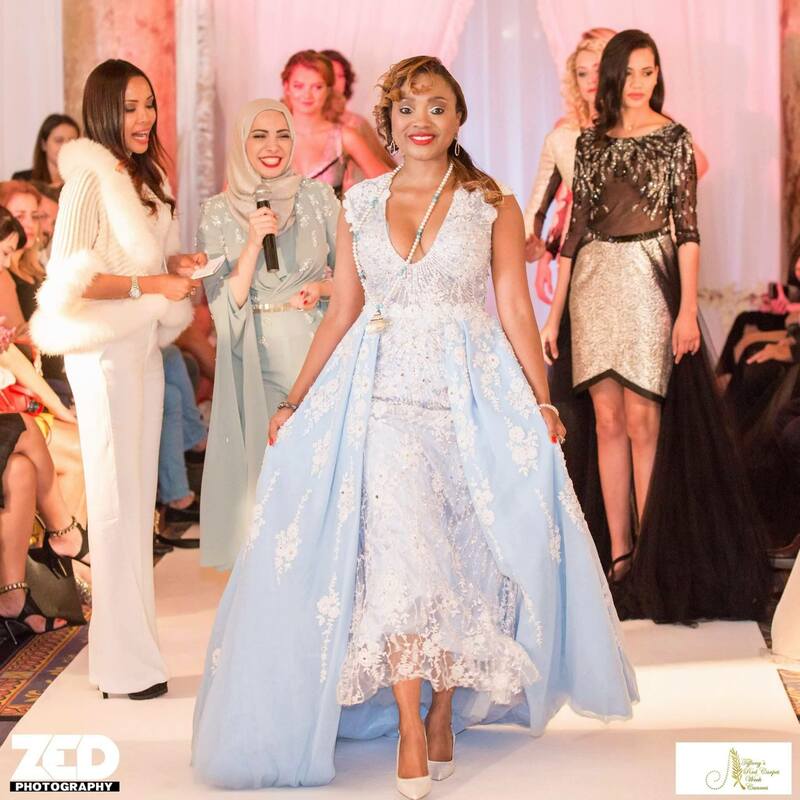 McCall’s event is also a competition ensuring success for designers, whilst organizing European manufacturing of their garment production and agents to market and sell their collections globally. The event was held at the prestigious and unforgettable location the Marriott on the Champs Elysées for 5 seasons. Since, the creation of the Fashion Weeks Fashion Designer and Producer Tiffany McCall of Tiffany McCall Couture has presented 5 seasons in Paris. She also created Tiffany’s Fashion Week New York an annual Fashion Show at the 5 star Plaza hotel on 5th Avenue Central Park and Tiffany’s Red Carpet Fashion Show at the 5 star Carlton hotel in Cannes, France. Her work was recently covered in the French Emma Magazine the official Cannes Film Festival Accredited Magazine. Tiffany’s Fashion Week Paris, New York and Cannes have all been covered by Fashion TV, Luxe TV global channels and now Planet Fashion TV. In April 2016, Tiffany McCall of Tiffany McCall Couture created Tiffany’s Fashion Week Magazine. The Magazine was created to support and guarantee global coverage for the International Designers presenting at the events, while advertising the International partners’ brands and celebrities present at the Fashion Shows. The digital version of Tiffany’s Fashion Week Magazine has been read by over 30,000 readers across the globe on issuu.com and the paper version has been read in Paris, Cannes, St Tropez, London, New York and Shanghai, China since its launch in April 2016. 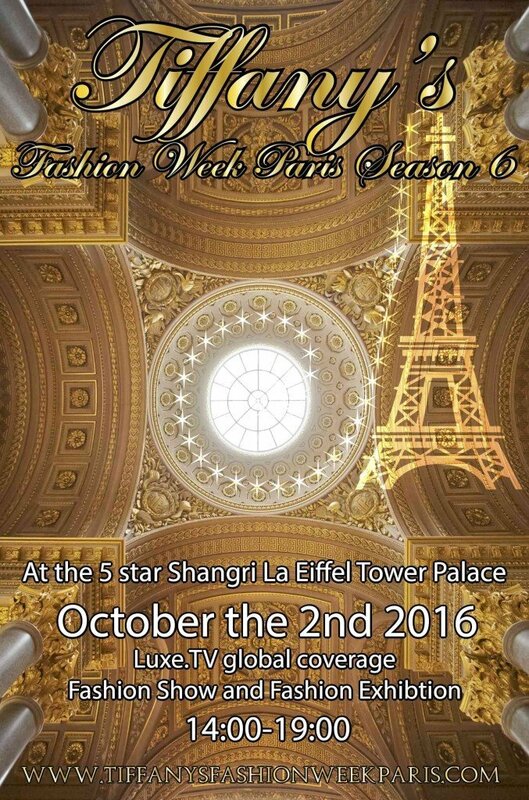 Tiffany’s Fashion Week Paris season 6 will be held on the 2nd October 2016 at the 5 star Shangri-la Eiffel Tower Palace. Moreover, the event will feature a Fashion and Art Exhibition, international musicians and artist performances between each catwalk show. “Vive la mode” is the slogan!!! Live Fashion!! Planet Fashion TV is pleased to announce a partnership with Tiffany’s Fashion Week Season 6.